Preserving the Safety of Every Resident! The Wayne County Sheriff's Office is operated on the principles of integrity, respect, honesty and caring for others. The dedicated men and women of our office are committed to providing professional law enforcement services through a well-trained staff, technology, crime prevention and a results-oriented, proactive approach to public safety. Our new website is is designed to make your interaction with our office easier and to provide most of the information you need in one well-organized location. If you've been the victim of a crime, report it! It does not matter what happened or when it happened, all crime is serious. When you report a crime to our office you will be heard. We will listen to your story and investigate the matter. Crime prevention cannot be achieved by the sheriff's office alone. As such, we depend heavily on your assistance in reporting crimes. The Wayne County Sheriff's Office appreciates any information are able to provide. If you feel there is someone selling drugs in your area, please use our convenient online form and repot it today. All information will be kept in strict confidence and if you feel threatened in any way you may report anonymously. Concerned about an illegal activity? You may have information that will help us solve a crime, save a person’s life or simply make our county a safer and more enjoyable place to live. Crimes are solved every day because concerned citizens notify the Sheriff's Office about illegal activity. Use our convenient form to report crime in your area of the county. The Wayne County Sheriff's Office utilizes OffenderWatch® to manage and monitor the whereabouts, conduct and compliance status of the registered offenders in Wayne County. OffenderWatch® provides the most accurate and timely information available. It is is updated instantaneously throughout the day. Georgia protects the right to bear arms under Article I, Section I of the state constitution, but this does not mean that everyone may carry a gun, or that you may always carry a gun wherever you like. Georgia requires a weapons carry license to openly carry a weapon, or to carry a concealed weapon on (or near) your body. 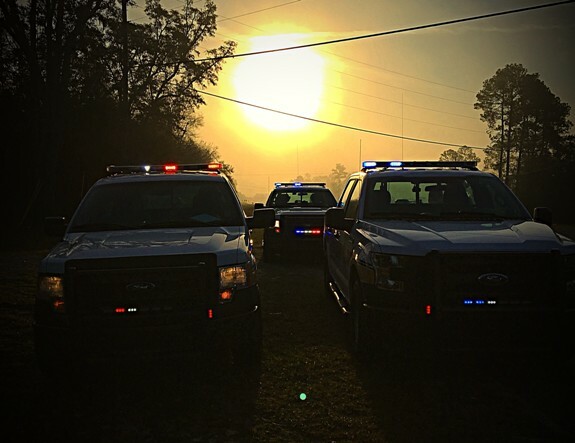 There are many different reasons why you might be stopped by one of our deputies. Whatever the reason, the deputy needs your cooperation. Traffic stops are stressful for drivers and lawmen alike. Just last year, for example, seven lawmen were killed during traffic stops. It is important to know what to do when stopped. The Wayne County Sheriff’s Office is a full-service law enforcement agency responsible for preventing and investigating crime, operating the county detention center and performing the court-related functions of a traditional sheriff’s office. We cover 649 square miles of Wayne County and protect nearly 31,000 residents and we take our role to serve and protect very seriously. Traffic citations issued by the Wayne County Sheriff's Office or the Georgia State Patrol may be paid online. When you click the link below the payment screen provided by Value Payment Systems will open in a new window. All payments are processed immediately, and the payment date will be equal to the business day following the date you complete your transaction. Our new online document download center is designed to make various commonly-used forms and documents readily available to county residents without the need to come to our office. As time passes we will make as many documents and forms available as possible. This is one more step in our mission to make our office easily accessible.